Signed: At lower left. ‘Emil. Carlsen.’. On verso title, initialed and dated. ‘Wood Interior / E. C. / Oct. 11 1920’. – “Baker-Pisano [1949-2000] collection notes on Emil Carlsen Works” by D. Frederick Baker, January 8, 1974. 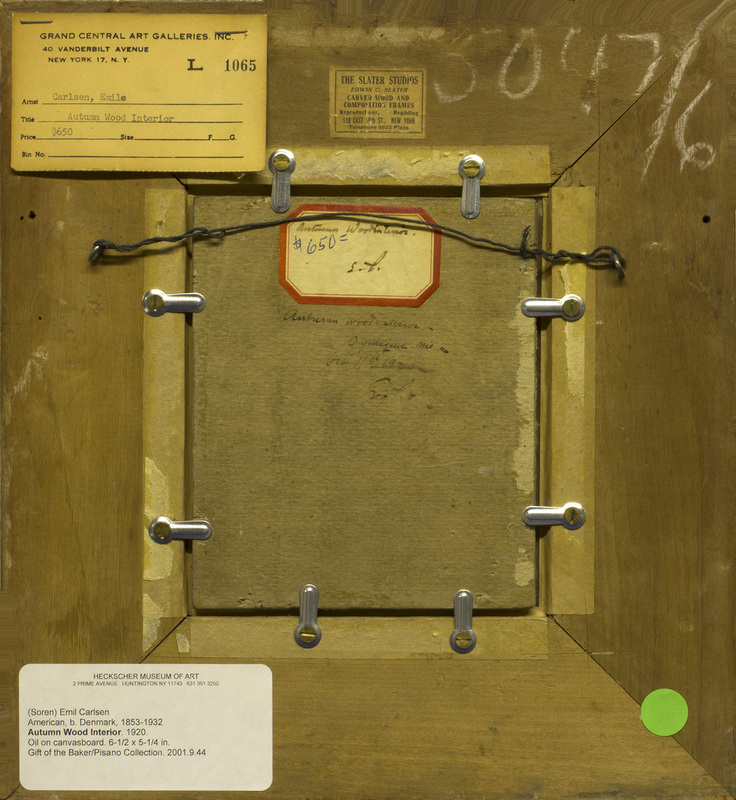 – Label attached to back with artist signed ‘E.C.’. – Verso: Written in artist’s hand ‘Ogonquit, Me.’. 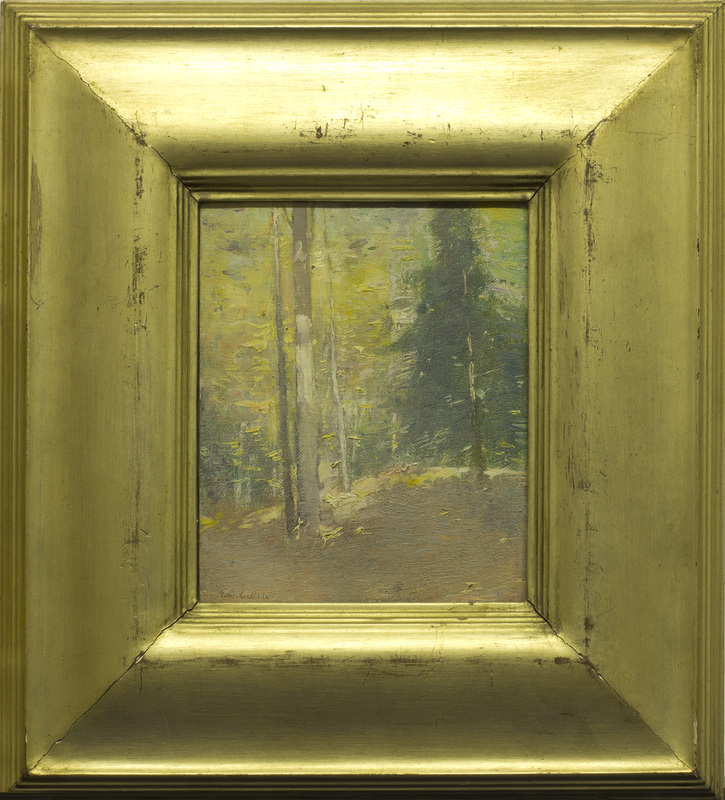 – Exhibition number on back of frame: ‘No. 49’. – Current color pictures provided by Andrew Schaeffer of The Heckscher Museum on August 1, 2016, via email/Wetransfer.